Venture out of the city with trips to Wentworth Falls (in Katoomba) and Norman Lindsay Gallery & Museum (in Faulconbridge). Spend the 14th (Sun) exploring nature at Sydney Harbour National Park. 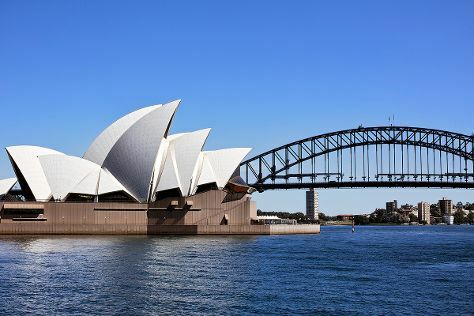 Next up on the itinerary: see a show at Sydney Opera House, snap pictures at Sydney Harbour Bridge, admire nature's wide array of creatures at Sea Life Sydney Aquarium, and admire the natural beauty at Royal Botanic Garden Sydney. To see reviews, where to stay, maps, and tourist information, read Sydney trip planner . Vancouver, Canada to Sydney is an approximately 18-hour flight. You can also do a combination of flight and bus. The time zone changes from Pacific Standard Time (PST) to Australian Eastern Standard Time (New South Wales) (AEST), which is usually a 18 hour difference. Prepare for somewhat warmer weather when traveling from Vancouver in April: high temperatures in Sydney hover around 26°C and lows are around 17°C. Wrap up your sightseeing on the 15th (Mon) to allow time to travel to Perth. Change things up with these side-trips from Perth: Fremantle (Fremantle Prison & Fremantle History Walking Tour), Caversham Wildlife Park (in Whiteman) and The Vines Mini Golf (in The Vines). Dedicate the 18th (Thu) to wine at some of the top wineries in the area. 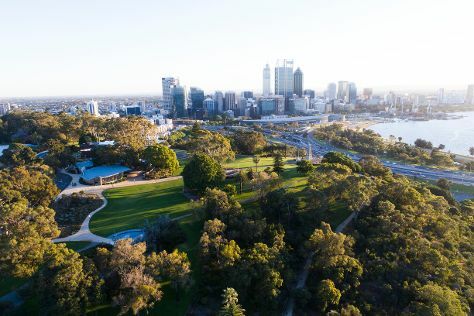 The adventure continues: admire the natural beauty at Kings Park & Botanic Garden, contemplate in the serene atmosphere at St. Mary's Cathedral, contemplate the waterfront views at Swan River, and glide peacefully along the water with some of the best stand-up paddleboarding in the area. To find more things to do, maps, where to stay, and more tourist information, refer to the Perth trip itinerary tool . You can fly from Sydney to Perth in 7.5 hours. Alternatively, you can drive; or do a combination of bus and train. Traveling from Sydney to Perth, you'll gain 2 hours due to the time zone difference. When traveling from Sydney in April, plan for somewhat warmer days and about the same nights in Perth: temperatures range from 31°C by day to 15°C at night. Wrap up your sightseeing by early afternoon on the 21st (Sun) to allow enough time to travel back home.